The 6BR villa rentals for vacation to Disney, situated on one of the closest residential estates to Disney World. The villa located in Indian Creek community, in the Kissimmee-Orlando area, is just 3 miles from Animal Kingdom, and dozens of other fun family parks and attractions. Indian Creek is a residential estate including two children’s playgrounds, tennis courts, open soccer field, jogging circuit and small putting green all free to Indian Creek guests. 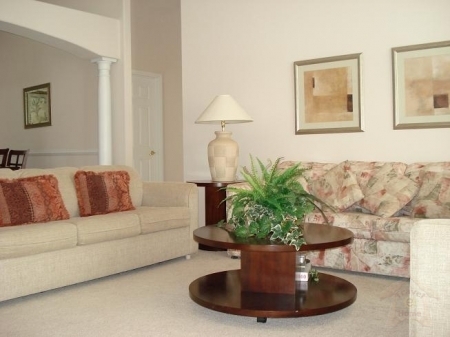 Our quality, luxury Gala villa vacation rentals is reasonably priced compared to the brand name resorts in the Disney World area, but offer first class amenities the crowded Kissimmee-Orlando hotels can\'t come close to. Our Gala Villa, the villa vacation rentals to Disney, offers your family a relaxing retreat after a day of fun in the sun, golfing, shopping or one of Orlando\'s many theme parks such as Disney World, Universal Studios, Sea World or EpcotCenter. There are hundreds of restaurants, theme parks and local attractions for you and your family to enjoy while vacationing in the beautiful Kissimmee-Orlando area. Our Gala Villa, the villa for vacation to Disney, is a new Florida vacation homes rental located at Indian Creek, just off Highway 192 between marker 4 and marker 5. It has been newly furnished to a very high standard. Our Gala Villa, the villa for vacation to Disney, is luxury, style and comfort. It has a much bigger than average lawn for children to play. The villa is equipped with everything you need for a perfect holiday/vacation having a private screened pool, fully equipped kitchen with an open gathering room & dining room, and a game room. The villa offers entertainment for all ages. The villa is a 6 bedroom, and 4 bathroom single family house which you hardly find in Indian Creek. Even around Kissimmee area, it is hard to find a 6 bedroom Luxury Villa rental to accommodate a large group of families. The Luxury Villa rental can sleep 14 in comfort. It is suitable for 2 or even 3 families. 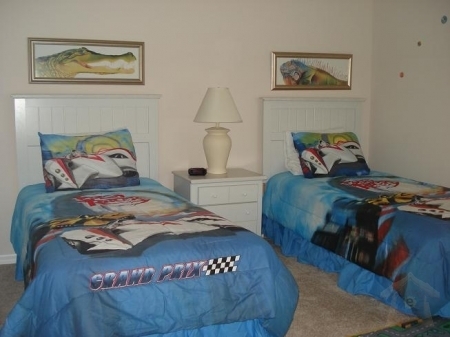 Book this 6 Bedrooms Villa which Sleeps upto 14 in Kissimmee Vacation Rentals in $140/Night* NOW!!! Rentals can start from any day of the week. Discounts are available for booking 2 or more weeks. A stay of less than 7 days incurs a one time cleaning charge of USD $115.00. Pool heating, if required, will be charged at USD $25.00 per day, USD $175 per week. Payments are accepted and calculated in US dollars. We accept all major credit cards through Paypal for the initial $300/wk deposit, which will be applied to your rental cost and is due within 7 days of your initial reservation. All rentals require USD $500 returnable security deposit. Bookings made within 10 weeks of your stay at the Villa require full payment with the $500 security deposit. Full payment is due 10 weeks prior to your arrival at the Villa. Rates are subject to County and State taxes currently totaling 13%. The rates are inclusive of accommodation, electricity and water costs for up to the maximum number of occupants per unit excluding pool heating unless otherwise stated. The maximum occupancy is 14 persons for the villa and is determined by the authorities within strict guidelines for fire safety. Please note that contravention of the above will render your booking voided, all money paid will be forfeited and you will be asked to leave the villa immediately without further compensation. Florida has a tropical climate, which is ideal for both humans and pests. These are not an unusual occurrence and, for this reason, our villa has a monthly pest control program. To help eliminate these uninvited guests we recommend that all windows and doors remain shut at all times and that all opened food is stored in the refrigerator provided. If you become aware of a pest problem inside the villa, sprays such as Raid can be purchased locally. If the problem is more widespread, you must inform our management company immediately so that the appropriate treatment can be initiated. Our villa has an automatic control system, which should always be set to automatic and cool or heat. You can then set the temperature desired. Air conditioning will ONLY work effectively when all the doors and windows are fully closed and if you reduce the temperature on the thermostat by a few degrees then give the system enough time to reach the new temperature. 75 to 80 degrees should be comfortable. The system should NEVER be set lower than 75 degrees as this will cause the system to freeze up and stop working altogether (for which you will be charged). The system is very effective when used properly. Please note outside these temperatures the A/C may fail and need expensive repairs which guest will be liable for the charges. Welcome pack – $35 - Tea, Coffee, Milk, Sugar, Orange Juice, Bread, Butter and Cookies. If you want to book our villa, you must complete the Booking Form (PDF Format or format). The completed booking form must be signed and returned with either a non-refundable deposit of USD $300/week of the rental amount or the full rental amount. The mailing address is available upon request, to send an email request please click here. Payments can be made by check, bank transfer, PayPal or credit card. Handling fees, if any, will be met by the guests with the exception of the handling fees for the USD $300/week non-refundable reservation deposits paid through PayPal. A booking will only be considered firm when the deposit has been received and we have acknowledged the booking in writing or via email to the guest. Provisional bookings will be held for seven days only. The balance is due TEN weeks before the date of arrival at the villa. Bookings made within ten weeks of arrival are payable in full at the time of booking. A security deposit of USD $500 is required and must accompany your final payment. This will be refunded in full no later than thirty days following your return home upon receipt of a satisfactory management report that there has been no loss or damage to the villa. Any charges made to the security deposit will appear within thirty days and you will be notified promptly should we find it necessary to make a charge. Rentals of less than seven days will incur an additional cleaning fee of USD $115. All Rates are subject to County and State taxes currently totaling at 13%. All bed linen and towels are provided for your needs. The property may only be occupied by two people per bedroom, with sofa bed, maximum of fourteen people. 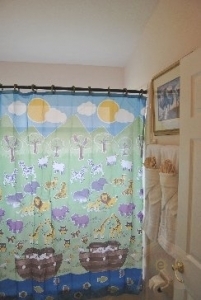 Infants under the age of three do not count towards the maximum occupancy number. The villa is provided only for the number of persons indicated by the guest on the booking form at the time of booking. An additional charge of USD $80 will be made per additional person per night when the number of people occupying the house does not agree with the booking form. The villa is provided only for the guests as detailed on the booking form. The villa will be available to guests after 4:00 pm (16:00) local time on the day of arrival. The villa must be vacated by 10:00 am (10:00) local time on the day of departure. Early arrival and late departure is not possible unless previously agreed. Failure to comply will result in additional charges of USD $80 per hour and you will be asked to leave the villa immediately. An adult must accompany guests under the age of 21. It may be necessary for staff or agents of our management company to enter the premises during your stay at the villa in order to perform routine maintenance or repairs. Your privacy will be respected. Do not allow children to use the facilities unsupervised or allow adults under the influence of alcohol or drugs to enter the water. We will not be liable for any loss or injury resulting from the use of the villa, and the pool. No items of any description other than people or pool toys are to be placed in the pool. For your own safety, glass, crockery and bottles are not allowed in the pool or nearby vicinity. You will be liable for the full cost of any damage (including loss of rental while any damage is repaired) if you do not adhere to the terms and conditions of the swimming pool. Pool heating is recommended (but not compulsory!) for stays between October & April (but can be ordered for any month, to your choice) and must be requested on the Booking Form - there is a 4-day minimum period for pool heating. Our pool is regularly inspected, cleaned and maintained but may be affected by dust, dirt or insects, particularly during or after bad weather. Very occasionally, pool heating or lighting, etc breaks down - in the unlikely event that the pool heating breaks down during your stay (if you have pre-ordered this), the management company will either provide the owed day(s) pool heating at a later time or, if this proves impossible, refund the unused portion of pool heating costs. If pool lighting breaks down, this may not be able to be restored without draining the pool - if this is repaired during your stay, please be aware that you may not be able to use the pool for up to 72 hours whilst the water is drained, the light(s) repaired and the water restored to normal levels. For this reason, pool lighting breakdowns are normally repaired when the villa is unoccupied to avoid guest inconvenience. We have no control over the weather! We are unable to guarantee the water temperature with pool heating, as this will depend on the prevailing weather conditions. If you have ordered pool heating but the weather is warm, you will pay for ordered pool heating as this will have been turned on in advance of your arrival and no refunds will be given in these circumstances. If you order pool heating from your check-in date, we cannot turn pool heating on for you whilst your rental home is occupied by other guests. Pool heating will be turned on (at some time between 11 am up to 4pm check-in time) on your check-in day, prior to your arrival depending on the weather conditions the water can take 24 hours to reach optimum temperature. Normal usage of gas, water, local telephone calls and electricity are included in the rental price. You will be subject to the full costs of any additional charges for abuse of utilities or the telephone if for the period of your stay bills are in excess of 15% of normal usage. 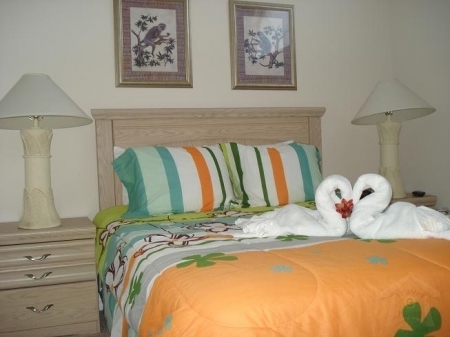 Cable TV, and broadband internet access are provided and are included in the rental price. For the comfort and safety of guests, our villa is non smoking. Guests are welcome to smoke on the pool deck, provided that ashtrays are used and stubs/butts are carefully disposed. If the management company finds any evidence of smoking inside the villa during your stay, this will be regarded as a serious breach of contract and you will be evicted immediately. All money paid will be forfeited and you will be liable for a deep cleaning fee - this will include but is not limited to: professional cleaning of all soft furnishings, linens, carpets etc, as well as a “clean air” fee to replace all air conditioning filters and de-odorizing costs. Animals and pets are not permitted in the villa. We have a strict NO PETS policy. If the management company finds any evidence of pets during your stay, this will be regarded as a serious breach of contract and you will be evicted immediately. All money paid will be forfeited and you will be liable for a deep cleaning fee and pest control charges - this will include but is not limited to, professional cleaning of all soft furnishings, linens, carpets and de-odorizing costs. We do require a refundable security/breakage deposit to be paid at the time of your final payment. This deposit of USD $500 will be repaid to you by check or credit card, within 30 days of your departure, providing the local management company has reported no breakages and you have returned the keys as requested. We check the inventory prior to your arrival and after your departure and will advise of any faults. These may include additional cleaning costs for spills, stains or extra dirty of the villa etc. Failure to return the key to the lock box when you leave the property at the end of your stay will incur a replacement fee of USD $50. Do not change or attempt to change the code on the lock box. You will be provided with 1 key to the villa. In the situation that you lock yourself out, you need to phone our management company immediately, and they will allow you re-enter into the house. Unfortunately you will incur a small USD $50 charge. If we have to employ a Locksmith there will be other service charge on top of the service call. The client is held responsible for any damage or breakages or lost that may be caused to the property and its contents, and also for any items in the inventory during your stay. All damage and faults caused or found at the villa must be reported to our management company at the earliest opportunity. We understand accidents can happen and small breakages for example breaking a plate will not be charged to your deposit. However, please inform the management company as soon as possible so that it can be replaced for other guests. A SONY PlayStation 2 has been provided free of charge for use by the Guest. This system includes the main unit (which also serves as a DVD player), two controllers, several games and a memory card. Guest is responsible for the proper use of the PS2 system and its various components. If, when inventory is completed upon Guest’s departure, it is noted that any games or other components of the system are missing, the cost to replace the missing items will be deducted from the Security Deposit. A DVD player and a CD player are also provided for you to use. Charges for damages, losses or any maintenance or repairs to the premises, equipment, amenities or fixtures, or any cleaning services over and above those normally required to prepare the villa for the next guest which are necessitated by misuse or extraordinary uncleanness, will be at the discretion of the management company and will be deducted from the Security Deposit. This rental villa is designated as a \"Non Smoking\" villa, and all guests agree to refrain from smoking inside the house. In the event that neutralization of smoke odors from cigarettes, cigars, pipes or other smoking materials is required, or in the event that burn marks from cigarettes, cigars, pipes, or other smoking materials are detected, the cost for elimination of those odors or repair of the burned marks will be deducted from the Security Deposit. We retain the right to retain the security deposit (either in part or full or even over the security deposit) to cover breakages, damage or non-return of the keys. Receipts for repairs / replacements will be provided in the unlikely event that such retention of the security deposit is required. In the event that any damage or loss is assessed to be in excess of the amount of Security Deposit collected, the Guest will be held responsible for full reimbursement of the outstanding amount and agrees to pay said amount with fourteen (14) days of written notification of such by the Owners. Once confirmed, you may cancel the booking at any time subject to the clauses detailed below. We reserve the right to cancel the booking if payment has not been received in full in accordance with the conditions set out in the booking procedure and payment terms stated above. More than ten weeks before arrival date – loss of deposit. Between ten and five weeks before arrival date – 50% rental amount. Less than five weeks before arrival date - 100% rental amount. The security deposit is not subject to cancellation charges and would be refunded in full. PLEASE NOTE: there is no penalty if you cancel but decide to reschedule your vacation dates within 3 months. You have to travel within 6 months but you must set your vacation dates within the first 3 months after your cancellation. We just hold your deposit pending your new vacation dates. But alterations to confirmed bookings within 3 month, we may charge an administration fee of $40. Please confirm all changes in writing. The management company will inspect the property for loss, damage and cleanliness following your departure. The lead renter will be liable for all costs resulting from this inspection other than any costs arising from acceptable wear and tear. Any loss, damage or cleaning fees exceeding the security deposit amount must be fully reimbursed by the lead renter within seven days of departure. We accept no responsibility for and shall not be liable in respect of any loss or damage or alterations, delays or changes arising from circumstances outside our control such as war or threat of war, fire or adverse weather conditions, government action, technical problems with transport, closure or congestion at airports, cancellations or changes of schedules by airlines or theft from the villa premises, both interior and exterior including garage/game room and pool area. The Guest is responsible for taking out an adequate insurance policy(ies) to cover all risks. This waiver is also applicable to people visiting the property as guests of the Guest(s). We do not accept any liability for injury, damage or loss caused, or for any such claim by a third party as a consequence of actions by the Guest(s) and other people occupying the property during the period of the let. We accept no responsibility or liability for loss or damage to personal items while traveling to the property, staying in the property or after departure from the property. No liability is accepted by the Owner for loss of main services or failure of appliances, nor for the consequences of the actions or omissions of persons who may control supply of mains service, nor any actions taken in the vicinity of the property by any authority over which there is no control by the Owner. Furthermore, it is possible that some construction work may take place in the area of new homes. The Guest should establish the status of the development prior to booking. A great deal of care has been taken to ensure the accuracy of information we have provided. However, facilities and services may not be open or available due to renovation/maintenance work, adverse weather etc. When we are aware that a facility or service advertised in the information provided will not be available during the period of your stay, we will take steps, wherever possible, to notify you prior to your travel. At times it may be necessary to replace items at the villa with similar items of an equivalent or better standard. Wherever possible, we will endeavor to notify you of such changes prior to travel. All other information on our website has been gathered for your reference and deemed accurate at the time of posting; it is provided in good faith, however we do not in any way guarantee the accuracy of the content. We reserve the right to reasonably amend any of the terms and conditions set out herewith. IMPORTANT - WE STRONGLY ADVISE ALL OUR GUESTS TO TAKE OUT TRAVEL INSURANCE FOR YOUR WHOLE PARTY, WHICH INCLUDES CANCELLATION CHARGES COVERAGE (UK GUESTS ARE ALSO ADVISED TO TAKE OUT A POLICY WHICH INCLUDES MEDICAL COVERAGE) AS SOON AS YOU HAVE BOOKED ANY PART OF YOUR HOLIDAY OR VACATION. IF YOU CHOOSE NOT TO DO THIS, YOU NEED TO BE AWARE THAT YOU WILL PERSONALLY BE RESPONSIBLE FOR PAYMENT OF ANY CANCELLATION CHARGES WHICH MAY BECOME DUE. We want our villa to remain as clean and tidy for each and every visitor, so please respect our villa and treat it with the care you give to your own home. We were so impressed with our recent stay in your incredible vacation home my wife said I had to write you a review for you. Here goes.... My family recently stayed at your lovely six bedroom Vacation getaway within several miles of Walt Disney World and Universal Studios. The home is tucked away in a very private neighborhood but is still close to many restaurants, bistros and coffee shops (for example ; Outback steakhouse, Red Lobster, Macaroni Grill, Starbucks etc. ), shopping plazas with anchor tenants like Target, Walmart and Publix or discount outlet stores (Nike sports....) However, we liked your home so much we actually cooked many meals for ourselves in the well equipped kitchen while the kids enjoyed a relaxing swim (after long days at the Disney theme parks) in our private enclosed pool area that is open to the living room through a set of double French doors. On one rainy day we never left the house and had a marathon ping pong, billiards and air hockey competition in the playroom. The bedrooms were all nicely decorated and had very comfortable beds with immaculate linens. We used the washer and dryer in the laundry room and never wanted for anything. Many evenings we watched a family movie on the huge flat screen TV with cable service, surfed the net on your high speed wireless network or played board games and cards on the huge dining room table. With so many bedrooms all the children had their own room with TV and we all drifted off to sleep with the nothing but our favorite memories of the Magic Kingdom, Epcot Center, Hollywood Studios, Downtown Disney, and Universal Studios dancing in our heads. When it was time to leave we were so glad we only had and easy 25 minute drive to the Orlando airport. I can\'t imagine why anyone would ever stay in a hotel in Orlando if they knew about this modern 6 bedroom getaway that is so luxurious, spacious and reasonably priced. We plan on going again in 6 months and invite our cousins to come with us next time. We never imagined you could rent a beautiful home so close to the Disney resorts and for such a great price. Thanks again for the great vacation experience. No hassles, no stress, just old fashion family value.